So you don't want to spend another 6-10 bucks on yeast for the next batch? Just use what ya got sitting under the beer that's in there. Dumping old trub into new wort isn't the best option, for various reasons, so you'll need to 'wash' the yeast to use on another batch. Here's my simple method on how to do that. First, you'll need some sanitized containers. I just use mason jars, as that's what i have lying around. Boiling is a great way to sanitize them, but i don't feel like standing over an oven waiting to boil my jars, so i just fill them 3/4 full of water and stick them in the microwave for about ten minutes. The boiling water in the jar will be enough to sanitize, plus you'll have clean water in the jar for the next step. 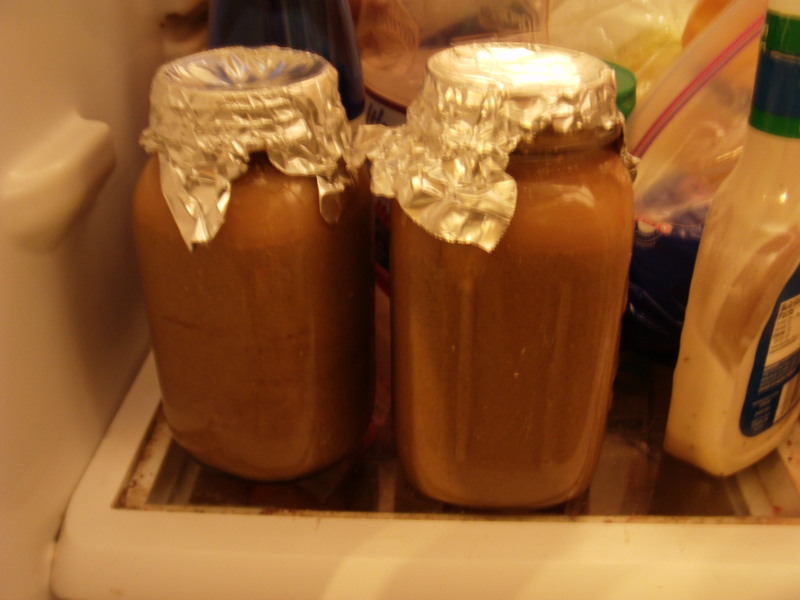 As soon as you stop nuking the jars, throw some foil on top of them to keep out any bugs while they cool. You can see the good yeast sitting on the bottom. the rest will drop out after a while in the fridge. Now you have some nice clean yeast you can throw into a starter when you're ready to brew again. great post, i may actually attempt washing yeast for the first time instead of just scooping it out and throwing it into a new batch of wort. i do roughly the same process, but i use Erlenmeyer flasks so i can spin it real good without sloshing. i just use syran wrap to cover the mouth. 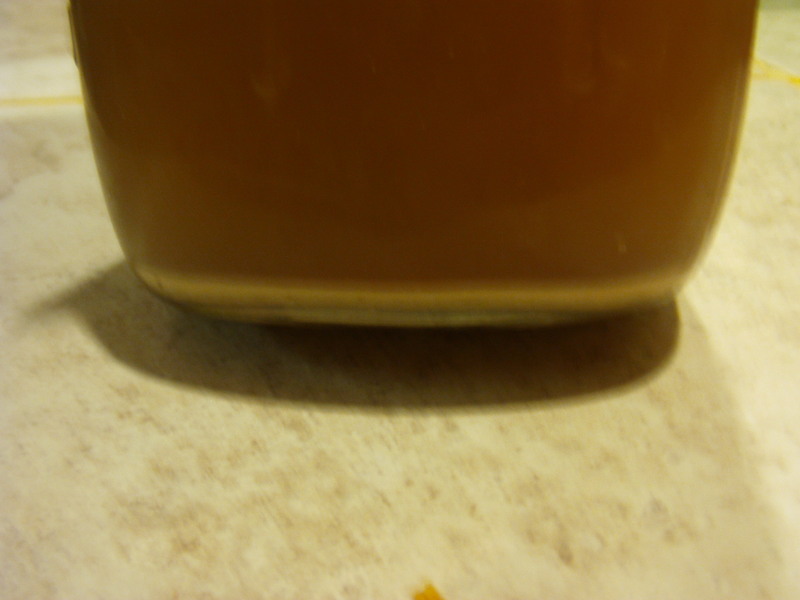 also, i use a small tube to siphon the final washed yeast out and store it in white-labs style soda bottle pre-forms. i have some. i just need to sanitize them before i put them on. that's a good idea for longer storage. i'll probably end up using this yeast this weekend, so I'll just end up decanting and adding some boiled dme solution on top. I have heard of people washing with beer, like Budweiser. It is sanitized coming for the container and something about the carbonation helping. Know anything about that? I'm brewing @frydogbrews hop house 2 this weekend with Wyeast 1056 and I think I will brew again after I rack it off the yeast, maybe a week later and pitch that. screw hop house 2, i think 5 was the best one. maybe 6. whatever the one before the last one was....that was awesome. i think it was mostly centennial hops. damn good. I made 1 last year, I'm working up, but I swapped out bravo for magnum and adjusted some of the other hops and scaled for 5g, then rounded off some quantities. Now you tell me. I already bought all my stuff. just increase bittering hops by 5% and flavor hops by 25% and it will come out great. I use the about the same process. I need to get smaller jars for storage. I wonder if you could reuse the WLP vials? I have read that washed yeast is only good for a few life cycles before it changes. I have no idea of this is true? i assume it is. but to what extent i don't know. 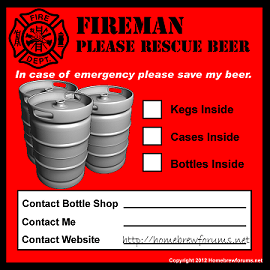 i haven't tried using beer, but i've read that people have used it. i seem to recall reading that water was better (something about how the co2 and alcohol are waste products of the yeast and therefore slightly poisonous to them) but not by much. give it a try and let us know how it turns out. the only experience i have is i washed wyeast 3711 my go to saison yeast. And the second batch using the washed yeast did not have the same level of saison funk. It wasn't as a good a beer as the original batch. Time between batches was probably 8 months. I also read time is a factor on washed yeast and you need to use quickly after. yes. otherwise you're essentially telling them to hibernate and would need to wake them up with a starter in order to use them again. yes, i sanitize them with idophor and fill them up with washed yeast. Whats the advantage of idophor over say a one step? one step cleaners have been proven to not sanitize anything, or so i've read. they're great for cleaning, but not sanitizing. you'd really only want to use a no rinse sanitizer like iodophor or star san. one step sanitizes, it just doesn't sterilize. its oxy-clean and few things clean better than oxygen. i quit using it because you had to mix up a new batch when i needed some instead of star san which is good mixed up for months. wait a minute there! i read it on the internet, it has to be true! I use pbw for cleaning and either star san (for big stuff) or idophor (for small stuff) for sanitizing. I've never used one step, but I figure it's got to be sub-optimal in either cleaning ability, or in sanitization, probably sort of meh at both. I also split my starters and save half for later brews, then build the starter up again for the brewday. Haven't done this in a while since I haven't brewed in a long time, but it was always sweet that I had two batches from one vial without the stresses of fermenting a whole batch first, it was good for rapid brew days before a batch could be racked and the yeast washed. I have a follow up question that has been plexing me. You initially let the trub settle, and decant the liquid and save it, right? The sediment is bad, toss out. But the next time it settles, you want the sediment, not the liquid right? When I make a starter,I decant off the "beer" and save the sediment which I pitch, is that right? correct. the first round of sediment is all the trub and dead yeast that flocculates out fairly quickly. 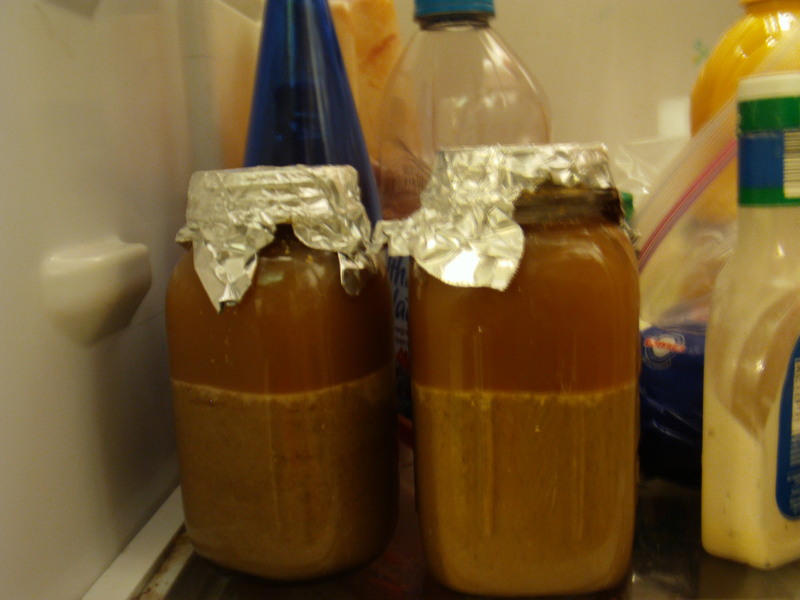 the second round of sediment is mainly healthy yeast.